This is definitely the time to buy! 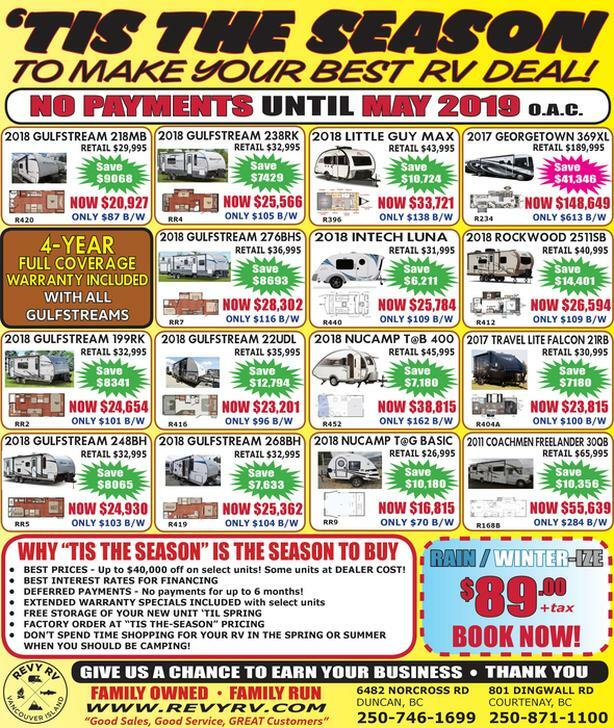 Find the one you're after and contact Tom at 250-709-1729 or tjohnsen@revyrv.com for specifics and a personal look. Thank you.